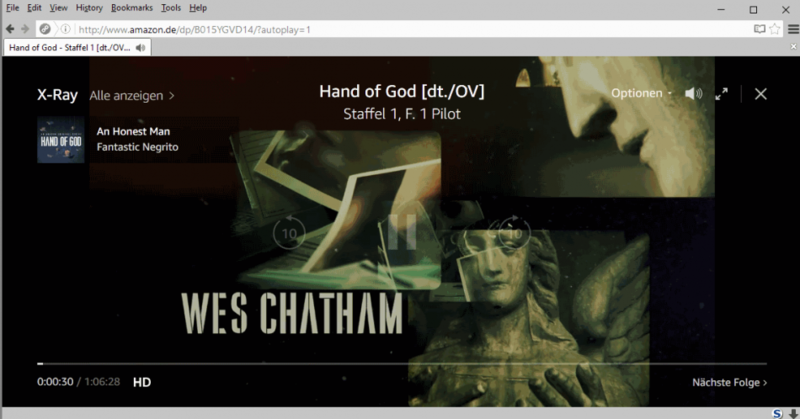 Firefox users will soon be able to play Amazon Prime Video without requiring the Microsoft Silverlight plugin to do so. 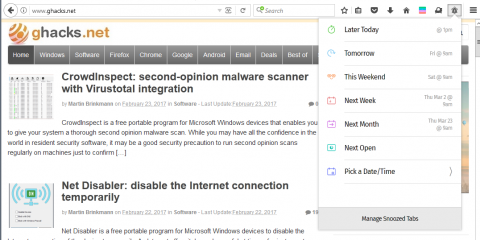 Mozilla, just like Google and Microsoft, plans to remove support for so-called NPAPI plugins in Firefox. Google actually blocked these types of plugins already in Chrome, and Microsoft did the same for them in the company’s new Edge browser. This old architecture enables support for Flash, Java, Silverlight and other plugins in the browser so that web services can make use of them, for instance to stream video to the browser. These technologies are for the most part replaced by HTML5 which all modern browser support out of the box. HTML5 is not enough on its own when it comes to watching content offered by commercial video services though as they require DRM on top of that. 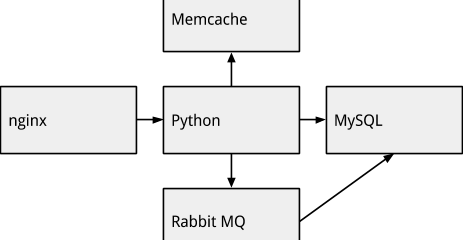 Part of the HTML5 specification supports digital rights management enforcement for streams, and many services such as Amazon Prime Video or Netflix require those to stream content to the browser. 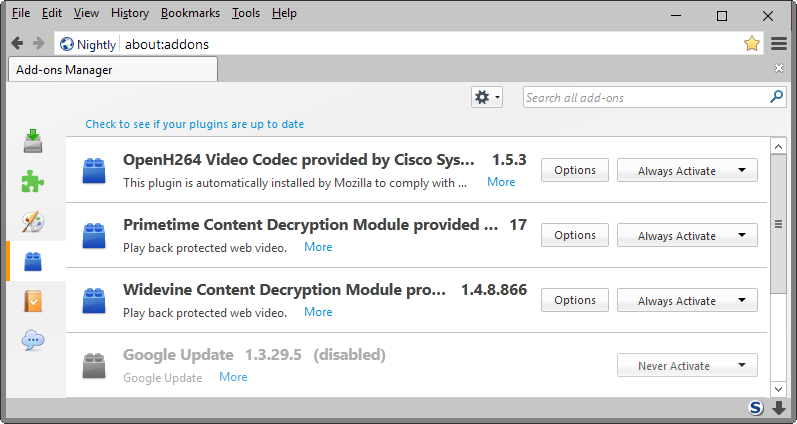 Firefox supported the Adobe Primetime Content Decryption Module since version 38, and Mozilla has just added support for Google’s Widevine CDM in Firefox 47. Amazon Prime Video requires Microsoft Silverlight, or Google Widevine CDM, and will only stream video content to browsers that support at least one of the technologies. Firefox users up until now had to have Microsoft Silverlight installed to watch videos on Amazon, but that is no longer necessary in Firefox 47 thanks to the integration of Widevine in the browser. This means, basically, that Firefox users can watch videos on Amazon without Silverlight installed. 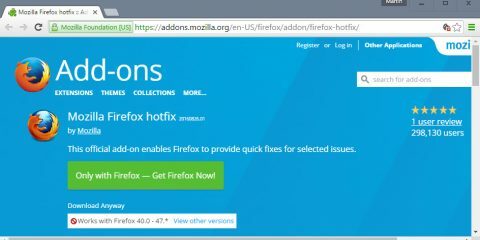 Since it is integrated in Firefox 47, the version is currently reserved for the Developer and Nightly version of the browser; it is not yet available for Beta and Stable versions (this happens on April 26th and June 7th respectively if things go as planned). Firefox Developer and Nightly users can visit Amazon right now to watch Prime Video content without Silverlight plugin installed though and things will work fine. One caveat is that some operating systems are not supported when it comes to Widevine. Currently, only Windows Vista and newer versions of Windows and Mac OS X are supported. This means that Linux users and pre-Vista users won’t be able to make use of this to play Amazon Prime Video. Everyone else may tune in right away. They will notice that Firefox downloads the Widevine CDM when it is requested for the first time. You can check for it by loading about:addons in the browser’s address bar and switching to the plugins section there. 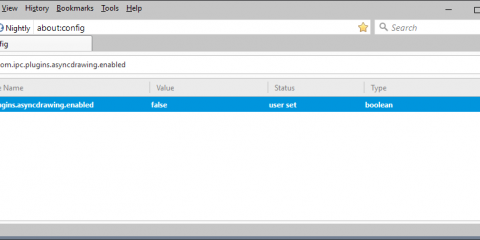 Load about:preferences#content in the browser’s address bar. Make sure “Play DRM content” is unchecked. You may disable Widevine and/or Primetime on the abouts:addons page if it is already downloaded. Simply switch the feature to “never activate” to block it from being used by any site or service you connect the web browser to. 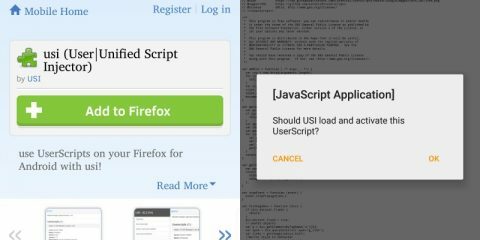 While some users may dislike the integration of DRM in Firefox, I think that Mozilla handled the situation quite well. First, there is an off switch for DRM that users can make use of to block this from being included in their version of the browser. Second, Mozilla created special DRM-free versions of Firefox that users can download on top of that. Support for major services on the Internet is essential for major browsers, and while it would be nice in theory if no one would require DRM in first place, this is not going to happen any time soon, if ever. The post Amazon Prime Video without Silverlight in Firefox appeared first on gHacks Technology News.